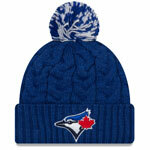 Gear up to watch your favourite boys of summer with a new Toronto Blue Jays fashion piece from Canada’s premier online sports store, TheSportsDen.ca. 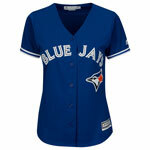 We stock the latest styles for women to show their fandom including T-Shirts, Long Sleeve T-Shirts, Tank Tops, Sweatshirts, Hooded Sweatshirts, Sweaters, and Jackets from Majestic and Nike. 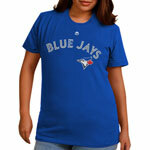 Show your team devotion and shop the largest selection of Blue Jays gear today!